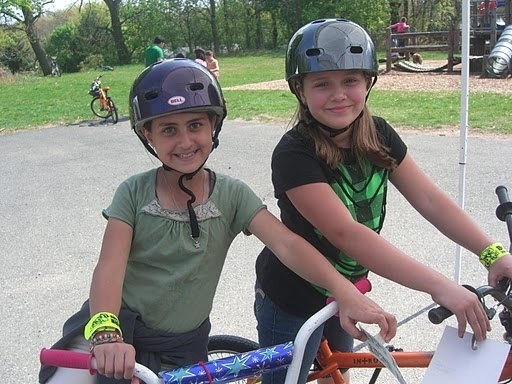 Northern NJ Safe Kids is Ready to Roll! Sunny skies were welcomed for the Netcong Ready To Roll Bike Rodeo 2010. Nearly 70 students participated and those who needed new helmets and received them were thrilled. Reflective spoke stickers were easily attached to every tire that was not rolling. This year we brought a new station into to the rodeo. . . HOT AIR! At this station kids were able to fill their own tires with air. Again, Safe Kids brought a life skill to life. 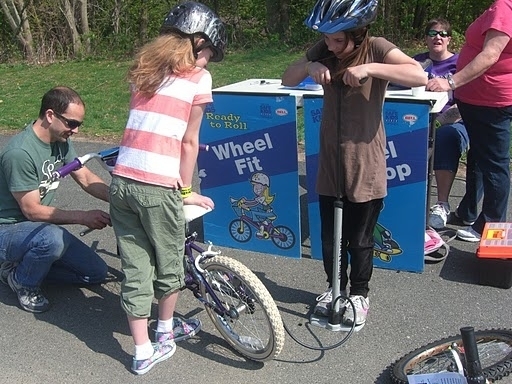 Hats off to our partners, Netcong PTA, Morris County DOT, Netcong Police Department and Cycleworks. Keep rolling. . .